In the face of steep rent hikes, some tenants in the building went on strike. 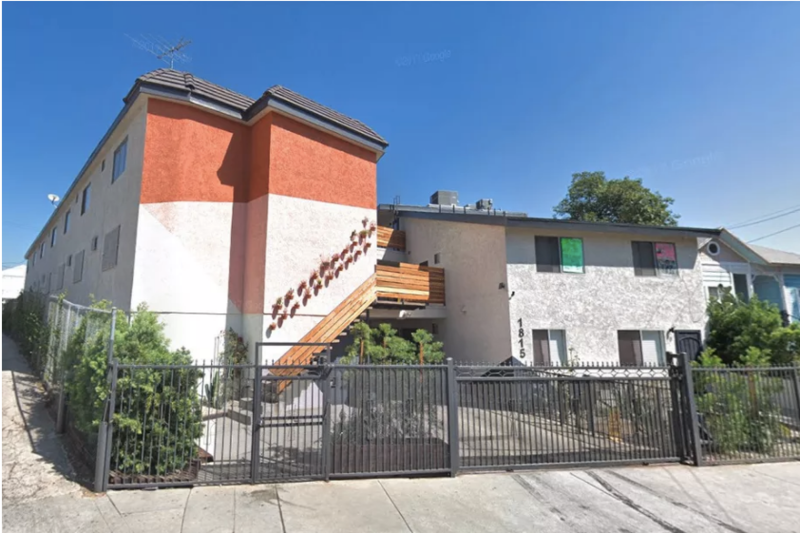 After a months-long struggle, renters living in a Boyle Heights apartment complex close to Mariachi Plaza have reached an agreement with the building’s owner and property management company allowing them to remain in their residences. On Thursday, a coalition of community groups that had attached themselves to the tenants’ cause celebrated a unique deal with the building’s landlord, resolving a rent strike that began nearly one year ago in April. Under the new agreement, the tenants have agreed to backpay a portion of the rent withheld during the strike, and to pay a roughly 14 percent price increase moving forward. In return, they’ll get a new 42-month lease with yearly rent hikes capped at 5 percent. They’ll also be able to collectively bargain for new leases as a renters union. “That’s a big deal,” says Noah Grynberg, co-director of the Los Angeles Center for Community Law and Action, which provided legal assistance to residents of the building. Grynberg says that applying labor organizing strategy to housing could help renters facing similar challenges in other buildings—particularly those that aren’t protected under Los Angeles’s Rent Stabilization Ordinance. Most buildings in LA constructed after 1978 are not eligible for rent control restrictions, meaning that landlords can increase the price of units at any time. That was the predicament residents of the Second Street building faced, given that the complex was built in 1983 and not subject to price restrictions. Located on East Second Street, the building changed hands in December of 2016. Soon after, tenants in seven of its 24 units—many of them mariachis—received notice that their monthly rents would rise by as much as 80 percent, starting in April. Unwilling to pay such a steep increase, the tenants launched a rent strike and were eventually joined by residents of six other units who feared they might face similar price changes. “The law, in a very narrow sense, was against us,” says Walt Senterfitt, a founding member of the LA Tenants Union, which also worked with the mariachis to protest the rent hikes. But Senterfitt explains that protests and public pressure helped bring the building’s owner to the bargaining table. In support of the tenants, members of the Tenants Union and the Democratic Socialists of America organized an overnight protest in December at landlord Frank “BJ” Turner’s Westside home. Demonstrators camped out overnight, chanting and handing out leaflets to his neighbors. Senterfitt says Turner agreed to negotiate a deal soon after that. Curbed reached out to the building’s property manager for comment on the agreement but did not receive a response. Gonzalez says he’s hopeful that other tenants will be able to “use us as a model.” He says he’s already spoken with residents of an Exposition Park complex about his experience forming a renters union. “This has to be a movement,” Gonzalez says. Grynberg says it takes a lot of commitment on the part of renters—who often risk eviction in the process—to make collective demands. But the case of the mariachis proves that strategy can work.